Ring in the New Year at a warm and inviting craftman style home. The four-course menu is $65 per person and includes lobster bisque or beet salad, followed by a second course of brie and figs stuffed phyllo dough. Select an entrée from a list of ten delectable choices. Beverages tax and gratuity are not included. 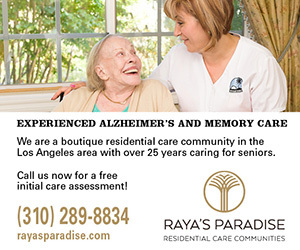 Call for resservations (323)962-1900. 6263 Leland Way, Hollywood. Enjoy a Peruvian family-style dinner with wine pairing at three different seatings, at 5:30 p.m. 7:30 p.m. and a late seating at 9:30 p.m. The cost of the seating ranges from $75 to $105 for late seating. The second and last seating include dinner, one cocktail and a wine pairing. Local DJs will play music. After 10:30 p.m. there will be an open bar for $40 per person. 514 W. 7th St. (213)622-3744. Watch a flamenco show while dining on a three-course meal for $45 per person. Pair each course with wine for an additional $15at the first seating at 6:30 p.m. The second seating is at 9:30 p.m. and includes a five-course dinner, flamenco dance show and midnight champagne toast for $65. Add $20 for wine pairing with each course. 4212 W. Sunset Blvd. (323)668-0318. Scott Conant’s Italian restaurant in Beverly Hills is offering two dinner seatings on NYE. A three-course tasting menu with champagne begins at 6 p.m. for $85 per person. The second seating is a five-course tasting menu at 9 p.m. and includes party favors and a champagne toast at midnight for $150. 225 N. Canon Dr. (310)860-7970. Chef Ricardo Zarate welcomes the last night of 2012 with a special 6 p.m. and 9:30 p.m., multi-course Peruvian dinner with wine. The second seating includes a cocktail and wine pairing for $145. Omit $25 from the price if you prefer no wine. Some of the dishes include a grillled filet mignon and warm chocolate cake. After 10:30 p.m. there will be an open bar at an additional fee. 9575 W. Pico Blvd. (310)277-0133. A white and gold NYE party features a four-course gourmet dinner with a glass of Veuve Clicquot champagne for $150. Stay for the after dinner party starting at 10 p.m. to 2 a.m. A balloon drop, party favors and music by a terrific DJ adds to the festivities. Bottle service starts at $105 and includes Veuve Clicquot, Dom Perignon and Belvedere. 8490 Melrose Pl. (310)360-9100 ext. 1. Visit David LeFevre in Manhattan Beach this NYE as he serves up savory bacon and cheddar buttermilk biscuits and Thai coconut shellfish soup. LeFevre is preparing spicy hamachi tartar, and jumbo Mexican white shrimp. His miso black cod with spiced eggplant and steamed Atlantic lobster are ideal entrées to ring in 2013. 1142 Manhattan Ave. (310)545-5405. Located at the Walt Disney Concert Hall, Patina restaurant is offering a three-course menu for $80 per person. Or try the gourmet four-courses for $100. For those who want to enjoy the ultimate 2012 dinner, a seven-course meal is served for $160 on New Year’s Eve. The first seating will begin at 4:30 p.m. Gala seating will begin at 7:30 p.m. Those who arrive at 10:30 p.m. may order from a late-night, a la carte menu. A jazz trio will also be performing from 7:30 to midnight. 141 S. Grand Ave. (213)972-3331. Start with a Louisiana Purchase champagne cocktail while having your Southern cuisine NYE dinner. Complimentary black-eye peas will be given to each guest to ensure 2013 will be a lucky year. Start with Jalapeno cheddar cornbread with pear butter. Chef Kevin Kathman’s special $75 four-course prix fix menu includes Kumamoto oysters, shrimp with grits and halibut with Maine lobster hash. Finish with sweet potato pie, cinnamon cream and candied pecans. Reservations begin at 6 p.m. on Dec. 31, 2012. 1031 Abbot Kinney Blvd. (310)392-2425. Come celebrating New Year’s Eve with a three-course dinner for $105. Highlights include filet mignon with lobster gnocchi. After dinner, the rooftop bar is offering a complimentary glass of champagne, a premium open bar, tray- passed desserts and views of the city for diners at $100. It’s $150 for regular admission. The new 2013 weekend brunch is launched on New Year’s Day. Start with a breakfast risotto, grilled breakfast pizzettes or a healthy superfood breakfast with kale, mushrooms and onion all topped with a sunny side up egg and avocado. Brunch starts at 10 a.m. inside the Thompson Beverly Hills. 9454 Wilshire Blvd. (310)388-6860. Celebrate NYE with a three-course menu for $75 per person, beginning at 5:00 p.m. Highlights from the menu include creamy cauliflower soup with caviar cream and grilled rack of lamb with heirloom bean cassoulet, Parmesan and kale purée. 330 Hope St. (213)680-0330. A family style menu during New Year’s Eve includes a beer toast and keepsake glass for $45. The local LA blues band Downtown Train will perform at 10 p.m. Burgers, Mediterranean platter, assorted pizzas and house-made sweet desserts are included on the menu. 2141 W. Sunset Blvd. (213)483-2337. Come to the 3rd annual NYE bash with dancing, drinks, and fun entertainment options. Starting at 9 p.m. a red carpet will lead guests to Delphine’s for house music. The Living Room/Station Hollywood is featuring Top 40 music. Aficionados of hip hop and R & B will want to enter The Great Room. Tickets start at $100. Stay overnight or come back to Delphine’s in the morning for classic eggs Benedict, cinnmon ricotta pancakes, brioche French toast and scrambled eggs in puff pastry during brunch. All items are priced from $9 to $24. Cure any hangover with a bellini or greyhound. Brunch begins at 10 a.m. 6250 Hollywood Blvd. (323)798-1300. Celebrate the first day in 2013 with bottomless mimosas for $17 and classic brunch dishes from 11 a.m. to 3 p.m. Try the seared Ahi with sweet potato hash or fresh corn and blueberry pancakes with whipped salted butter. 616 N. Robertson Blvd. (310)657-9888. Pre-party sausage and schnitzel festivities from 5 p.m. to 10 p.m. on Dec. 31, 2012. On New Year’s Day, they open at 11 a.m. for special drinks and a traditional German “good luck” dish: sauerkraut. Bottomless champagne is $9. 345 N. La Brea Ave. (323)931-9291. Listen to a lively jazz trio from 7:30 p.m. to midnight while enjoying a three-course NYE dinner at Café Pinot. The menu is $70 per person. Add another course for an additional $20. Highlights from the menu include lobster risotto, crimini mushrooms and Parmesan cheese and chocolate-caramel mousse cake with salted caramel sauce, peanut butter gelato and peanut brittle. 700 W. Fifth St. (213)239-6500. This New Year’s Eve order a family style menu priced at $50 and $75 per person. An a la carte menu is available for walk-in parties to partake in the evening’s festivities. Whole lobster with leek risotto and local pork chops with lima beans are some of the evening’s specialties. Finish with eggnog crème brulée with a gingersnap cookie and shot of rum. 6280 Hollywood Blvd. (323)334-3360. Party at an authentic Mexican restaurant while having a party with carnival dancers, a band, and a complimentary champagne toast at midnight. Guests can stay until 2 a.m. 13301 Ventura Blvd. (818)788-4868. Start 2013 with a New Year’s cupcake in vanilla or chocolate and topped with festive decorations for $3.75. Available in-store on Dec. 31, 2012. 8389 W. Third St. (323)951-0636. Overlooking the twinkling harbor in Marina del Rey, Café del Rey is serving a special three-course California Mediterranean menu. Signature dishes include black linguini with lobster and caramelized fennel, tarragon and lobster white wine cream. There is also rack of lamb. The first seating is 5 p.m. at $65 per person. The second seating at 8:30 p.m. is $85 and includes a complimentary glass of champagne for a midnight toast. 4451 Admiralty Way (310)823-6395. Chef Giselle’s New Year’s Eve menu includes good luck traditions from around the world. Featured items include a dessert course featuring grapes; a traditional Mexican gift offers sweetness for the coming year. Other dishes include Escargot, caviar, Boulder Valley Prime steak and a pecan tart. 321 N. Robertson Blvd. (310)271-0576. Located in Topanga Canyon, Chef Bradley Miller will serve a choice of two festive menus. The regular menu features white winter truffle risotto and turkdukin with cornbread stuffing, maple yams, and cranberry conserve. Finish with chocolate pudding and espresso ice cream. A special vegan/vegetarian menu offers crisp faux duck. 128 Old Topanga Cyn. Rd. (310)455-1311. Celebrate NYE with a mexican themed four-course dinner for $65 per person at both Border Grill locations; Santa Monica and Border Grill Downtown. Sip handcrafted margaritas while eating braised oxtail tamales or steak and lobster surf and turf. 1445 4th St. (310)451-1655 and 445 S. Figueroa St. (213)486-5171. Executive Chef Casey Lane is preparing an exclusive six-course prix-fixe dinner for NYE at $100 per person. He is also preparing a special pescaterian and vegetarian menu. Complementing the meal, Wine Director François Renaud will pair wine with each course, starting at $45. 1633 Abbot Kinney Blvd. (310)392-6644. Come downtown to countdown to 2013 at a modern English gastropub-inspired restaurant. Casey Lane is preparing his wood-fire grilled rotisserie chicken paired with one of the 20 beers on tap. Bar Manager John Coltharp is shaking specialty cocktails throughout the night. From 10 p.m. to 2 a.m. A $30 NYE party begins with one drink token, passed appetizers, and a midnight toast. If space allows, tickets are available at the door for $15. Walk-ins will receive passed appetizers and a midnight toast. 840 S. Spring St. (213)225-2400. A three-course prix fixe NYE menu is $75 per person. Start with a complimentary glass of champagne with chestnut bisque, confit duck leg, pistachio crusted rack of lamb and lobster risotto. Finish with a persimmon steam cake. 1100 Glendon Ave. #100 (310)824-3322. Chef Jason Neroni will bid farewell to 2012 with a special five-course menu. The celebratory family-style meal will be priced at $75 per person, featuring signature items including Superba fried chicken; gnocchi with spigarello, pomegranate, and crispy shallots. The lasagne alla Romana is made with three meats. 533 Rose Ave. (310)399-6400. Located inside the historic Hollywood Roosevelt Hotel, Chef Tim Goodell’s is preparing an eclectic American menu with twists on traditional classic dishes for NYE. The six-course prix fixe menu includes a seafood tower with jumbo shrimp, oysters, clams, and stone crab. The lamb Noisette is with grilled artichokes and watermelon goat cheese gremolata. The first seating begins at 6 p.m. at $170 per person. The 9 p.m. seating is $200 and includes a wristband for entry into the hotel’s Saints & Sinners NYE party. 7000 Hollywood Blvd. (323)769-8888. On Dec. 31, sip champagne for $5 a glass and enjoy Singha beer for $3. There will be food specials until closing at UMAMIcatessan, Umami Los Feliz, Umami Pasadena and Umami Urban in Hollywood. 852 S. Broadway (213)413-8626, 4655 Hollywood Blvd. (323)669-3922, 49 E. Colorado Blvd. (626)799-8626 and 1520 N. Cahuenga Blvd. (323)469-3100. A six-course NYE menu includes Indian eggplant, pork paté with crispy chicken skin, Nantuckett bay scallops cured with kaffir lime and crispy spring rolls with Dungeness crab. Chef Jordan Kahn elevates desserts to a new level with his milk chocolate cream in a devil’s food cage. The special menu is available from 6 p.m. to 11 p.m. The restaurant will stay open until 2 a.m. 8400 Wilshire Blvd. (323)651-5500. Starting Dec. 28 to NYE, diners can order from the regular or holiday menu with such tasty entrées as the mesquite grilled filet mignon, North Atlantic cold lobster tail and all natural prime rib with jumbo prawns. Open from 11 a.m. to 11 p.m. Bar stays open until midnight. On New Year’s Day, Paul Martin’s opens at noon until 10 p.m. with a Taste of Paul Martin’s menu. 2361 Rosecrans Ave. (310)643-9300. The L’Ermitage restaurant and lounge will feature live music on NYE from 9 p.m. to 12:30 a.m. Music director, pianist Urie R.L. Norris collected a special line-up with guest artists Krys Wright and Malik Pointer of the Pointer Sisters family. A $40 cover charge includes a sparkling wine toast at midnight. Chef de cuisine Benjamin Dayag and his team created a five-course prix-fixe menu to enjoy. Entrées include miso marinated black cod and grilled citrus marinated quail with potato croquette and ragout of mushrooms. 9291 Burton Way, (310)278-3344.